'It's days like today when I really miss having her around,' Harry said. 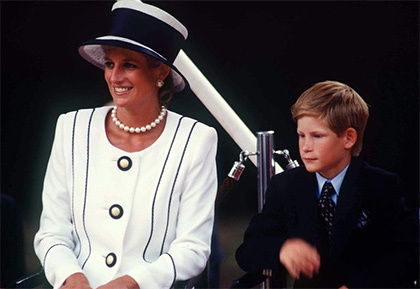 Despite the fact it's an incredibly personal part of his life, Prince Harry has on several occasions spoken out about what it was like to lose his mother, Diana, Princess of Wales, when he was just 12 years old. And on the day he announced his engagement to girlfriend of 16 months, Meghan Markle, it was no different. 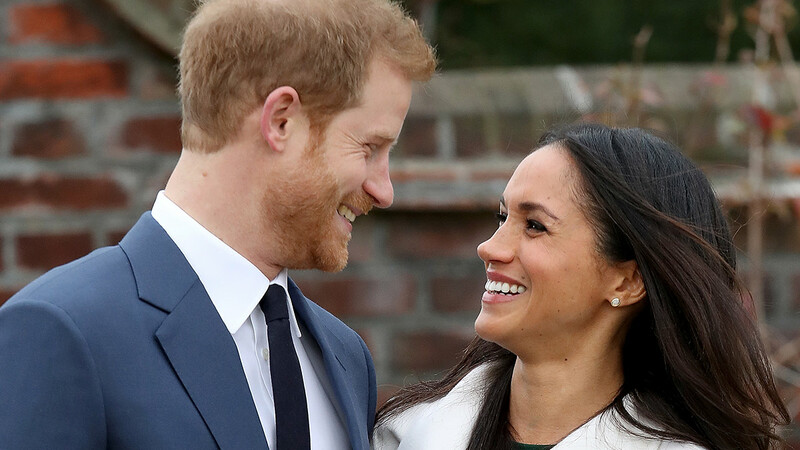 Speaking in an interview with the BBC that was aired on the 6 o'clock BBC news, Harry explained the significance of the ring he has given to Meghan when he got down on one knee. "The stone itself is sourced from Botswana," Harry told Mishal Husain. "And the little diamonds either side are from my mother's jewelry collection, to make sure that she's with us on this crazy journey together." 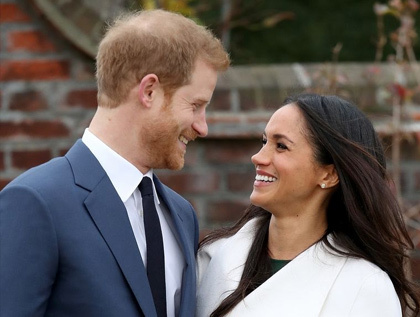 Meghan said she thought the ring was "beautiful." "And he designed it!" she added. "It's incredible." The royal-to-be continued, saying she appreciated "everything about Harry's thoughtfulness and the inclusion of [Diana's jewelry]." "Obviously not being able to meet his mom, it's so important to me to know that she is a part of this with us," said Meghan. Harry then spoke emotionally about how he believes his mother and his fiancé would have got on, had they the chance to meet. "I think they'd have been thick as thieves, without question," the Prince said. "She would be over the moon jumping up and down. So excited for me, but as I said, would probably have been best friends with Meghan. "It's days like today when I really miss having her around and miss being able to share the happy news, but with the ring and everything else going on, I'm sure she's with us jumping up and down somewhere else," he added. And the gesture of including Diana in the engagement ring is something Harry's brother, Prince William, did seven years ago when he proposed to Kate Middleton. William chose a ring that had belonged to Diana to give to Kate back in October 2010, when he asked for her hand in marriage while the couple were on holiday. Of the ring he gave in a moving tribute, he said: "It is very special to me. It was my way to make sure my mother did not miss out on today and the excitement that we are going to spend the rest of our lives together."